Pepe is a very cute pink pig, who lives happily with his brother George, Dad, and Mom. She loves to play games, dress beautifully, spend the holidays, and jump in the small mud. In addition, she also loves to adventure around. Although she often meets small troubles, she can resolve them and bring surprise to others. With fresh, bright color and warm and interesting plot, it is a great animation that is suitable for the whole family to watch. 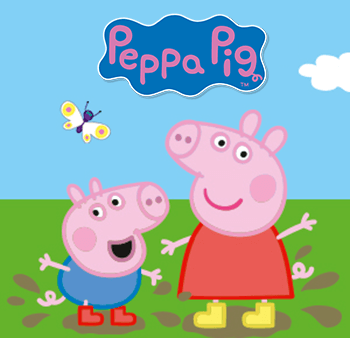 In addition, the simple dialogue allows the children to learn receptive Chinese dialogues with Peppa family.